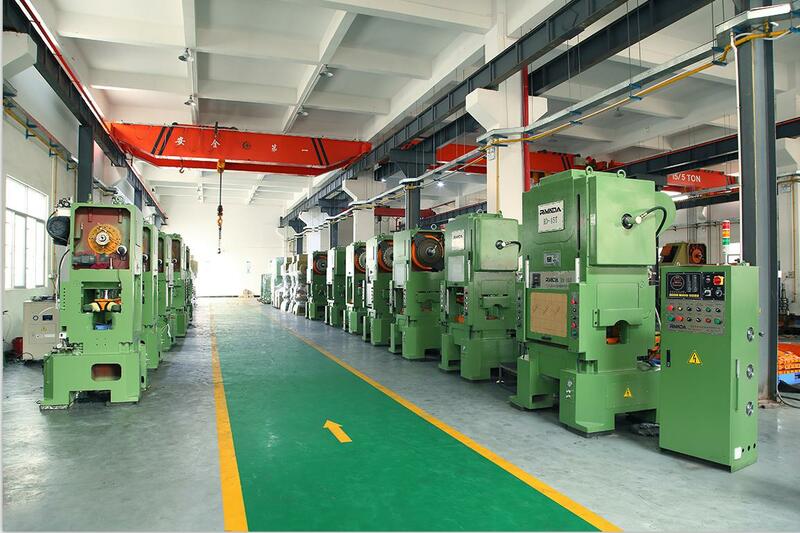 High Speed Press Machine for making eyelet is made of spheroidal graphite casting structure with high rigidity, four pieces of guide pillars and alloy copper sleeve design. 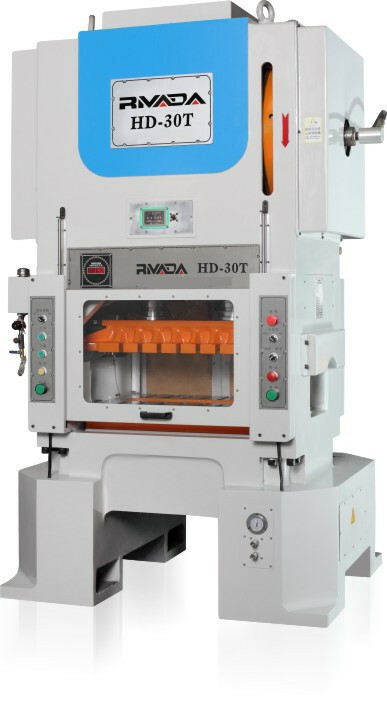 High speed press machine for making eyelet is suitable for various fields, eyelet, metal button, motor, connector, computer, mobile phone,LED, car, nonstandard metal parts and so on. 1. 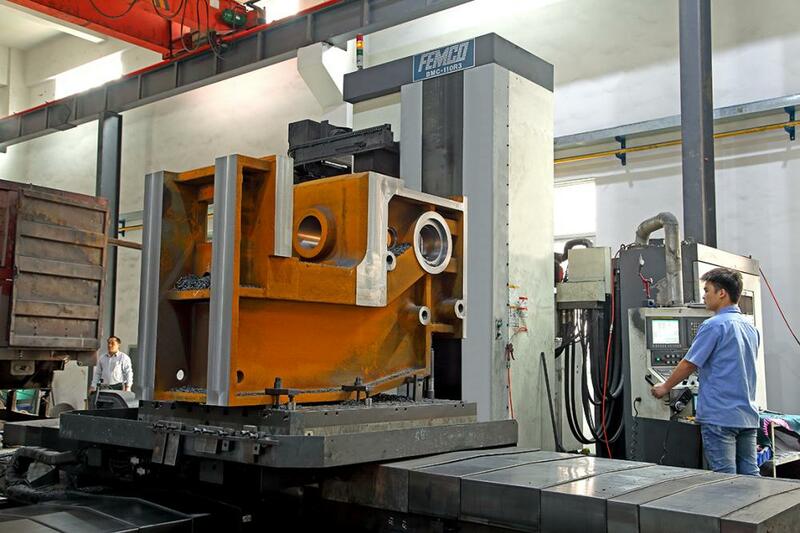 Machine body is high strength cast iron,Best stably. 2. Adopt Double guide pillar, Four guide column structure. 3. Zero error Germany FAG ball bearing. 4. Dynamic equilibrium for choosing. 5. Machine include hydraulic locking,Die Height Indicator, 1 Set tool, motor-driven adjustable die.Cooling machine etc. 6. Man-machine interface is microcomputer controlling. 7. Lubrication system is forceful automation. 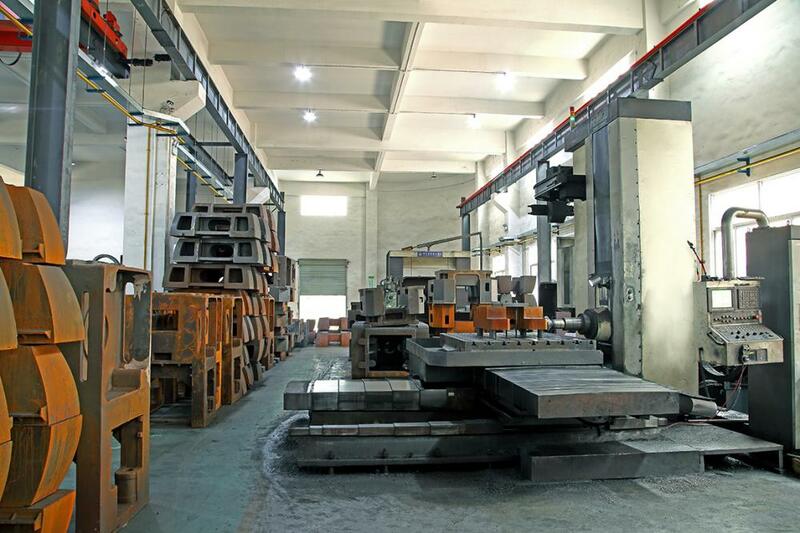 The configuration of high speed press line. Step-1: Flat Decoiler Machine, Loading coil and uncoilling coil. Step-2: High speed feeder machine, Feed coil to press machine. Looking for ideal High Speed Power Press Machine Manufacturer & supplier ? We have a wide selection at great prices to help you get creative. All the Punch Press Machine are quality guaranteed. 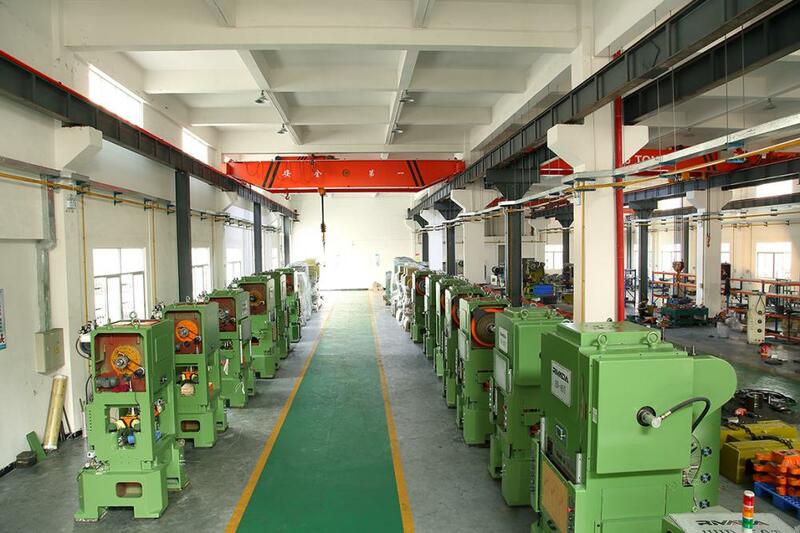 We are China Origin Factory of Eyelet Stamping Line. If you have any question, please feel free to contact us.